Everyone makes mistakes, but sometimes those mistakes severely affect your credit. If you’re among the 21% of Americans who have a credit score below 600, a secured credit card might be your only option for card ownership. With a secured card, your credit limit will be established based on the cash collateral you deposit and your payment history may be reported to the three major credit bureaus — Equifax, Experian and TransUnion. Resolve to create or rebuild your credit score in 2019 when you establish an on-time payment record. Below is a ton of advice and our recommendations for the best secured credit cards from our partners to help you build your credit. Commonly used for: Auto Rental Insurance, EMV, Extended Warranty Program, Free Credit Score, Mobile Pay Ready, Price Protection, Secured credit card, Travel Accident Insurance, Travel Assistance, Zero Fraud Liability. 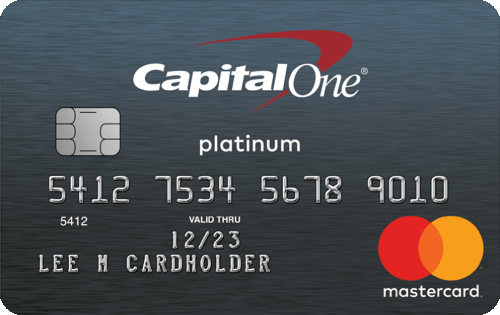 For no annual fee, the Capital One® Secured Mastercard® is a simple secured card that helps you to build or rebuild your credit. Capital One will report regularly to the credit bureaus to make sure that your credit score continues to improve with responsible card use. 2% cash back at gas stations and restaurants on up to $1,000 in combined purchases every quarter, automatically. Earn unlimited 1% cash back on all other purchases. Commonly used for: EMV, Free Credit Score, Mobile Pay Ready, Secured credit card, Zero Fraud Liability. If you need a secured card that will help you build or repair your credit with no annual fee the Discover it® Secured card is a great option as you're still rewarded for your everyday spending. Discover offers 2% cash back at gas stations and restaurants (up to the quarterly maximum) and 1% on everything else. Discover's sign-up bonus will match all the cash back you earn in the first year which will be a great perk to look forward to. Commonly used for: Auto Rental Insurance, EMV, Extended Warranty Program, Free Credit Score, Mobile Pay Ready, Presale Tickets, Price Protection, Roadside Assistance, Secured credit card, Travel Accident Insurance, Trip Cancellation Insurance, Zero Fraud Liability. With no annual fee or monthly maintenance fee, the Citi® Secured Mastercard® offers cardholders the opportunity to establish credit. In addition, the card comes with travel and auto protections, as well as a higher credit limit range than some secured cards. The Citi® Secured can be an effective way to build credit with responsible use. Commonly used for: Auto Rental Insurance, EMV, Poor Credit, Secured credit card, Zero Fraud Liability. 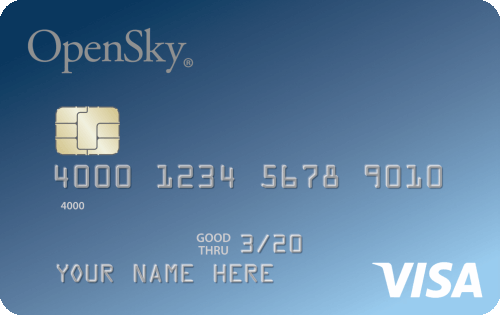 If you're concerned about qualifying there is no minimum credit score requirement for an OpenSky® Secured card. This secured card will match your credit line with your deposit amount, if you put down a $200 deposit you will have a $200 credit limit. Using this card and paying your balance in full each month will mean you don't incur interest charges and you will be building your credit over time. Commonly used for: Auto Rental Insurance, EMV, Poor Credit, Price Protection, Secured credit card, Zero Fraud Liability. This card doesn't require a credit check to get approved so bad credit or no credit history won't be an issue. You can secure a credit line commensurate with a fully-refundable security deposit which can be $200-$2,000. 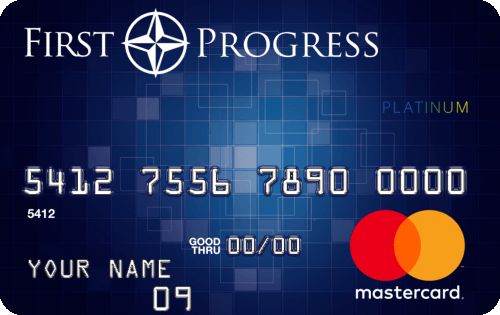 Sometimes, secured cards will charge application fees but the First Progress Platinum Prestige doesn't charge application or processing fees. Who should get a secured card? Here at Bankrate, we’re pretty serious about finding the best credit card for you. Bankrate experts have studied 228 secured credit cards to try and identify the best deal. Each card has been awarded a Bankrate score out of 100. Annual fee – A lot of secured credit cards will charge cardholders an annual fee. Our analysis takes into account the overall value offered by the card — through rewards and other perks — against the annual fee to make sure you’re getting enough bang for your buck. Surprise fees – Secured cards can sometimes have extra fees that you may not see on other credit cards. We pay close attention to the fine print so we can factor these fees into the cards overall score and make sure you’re aware of them before. Rewards – There are some secured cards that also have rewards. Rewards can be hard to understand but we make it simple with a breakdown that clearly shows the real value they offer to cardholders. Extras and discounts – Some cards have extra advantages for cardholders. Introductory offers and standard benefits — such as Discover’s cashback match for the first year and social security number monitoring — are great perks. This card offers a $200 credit limit to all Cardholders. The best part is if your deposit may be as low as $49. Those with extremely low scores may be better off with a different secured card, but if you’re on the higher end of “bad,” consider this card. You can establish your credit line with your tax return by providing a refundable security deposit from $200-$2500 after being approved. You must provide your bank information when submitting your deposit. The APR is a variable 26.99 percent, but there are no annual fees, application fees or foreign transaction charges. If you make the first five payments on time, you can increase your credit limit without any additional deposits. 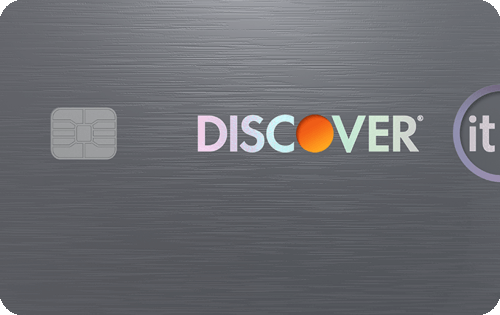 Discover’s secured card may be the best available in terms of upside. If you’re fortunate enough to be approved, you can potentially earn hundreds of dollars back thanks to its rewards features and first year intro bonus. Earn 2 percent back on gas stations and restaurants — up to $1,000 in combined purchases every quarter — and get 1 percent back on everything else. The APR is a variable 25.24 percent. If you need a secured card but would like a credit limit that’s higher than a few hundred dollars, this is your best bet. Depending on your creditworthiness, you may be approved for a credit limit of up to $2,500. There are no annual or monthly maintenance fees, which means more money in your wallet. This card comes with several travel and auto protections, including roadside assistance dispatch service and damage and theft protections. Here’s a card that acts as a lifeline for those in serious credit trouble. There’s no minimum credit score to be approved and no credit check, both rare in the credit card world. If you’re out of options and need help, this is the right card for you. The card reports monthly to all three credit bureaus. You can choose a credit limit as low as $200. The APR on this card is less than that of other secured cards—which typically hover between 24 percent up to 36 percent. If you’re rebuilding your credit, it’s important to pay your balance in full as often as possible. That being said, things happen and sometimes it’s necessary to carry a balance, in which case it pays to have a card with the lowest APR possible. If you need a secured card but would like the peace of mind knowing you won’t have outrageous interest payments should you carry a balance, this is your card. This card reports to all three of the major credit bureaus, a must if you’re looking to improve your credit. Approval is easy—there’s no credit check or minimum score requirement. Credit limit ranges from $200 to $2,000, depending on how much you put down. 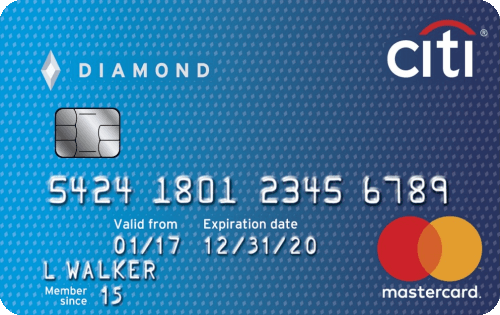 A secured card functions similarly to a prepaid debit card. In most cases, the amount you put down as a security deposit on a secured card is equal to the amount of credit you’re granted. With a prepaid debit card, the amount of value on the card is equivalent to the amount you deposit. There are a few key differences though between the two types. Unlike a prepaid debit card which just stores the value of the money, you’ve put on the card, a secured card functions like a credit card in that you don’t have to pay the entire balance at the time of purchase. For example, with a prepaid debit card, if you have $500 on the card, and you make a $250 purchase, you have $250 left to spend on the card. After that, there’s no money left on the card unless you add more funds. With a secured card, if you have a $500 credit limit because you made a $500 security deposit, you can spend $250 on an item, but you don’t have to pay it immediately at the time of purchase. Just like with an unsecured credit card, you can pay back a portion of that $250 charge each month until it’s paid off but you will also accrue interest for each month you carry a balance. It’s important to know that if you have poor credit due to prior financial missteps, carrying a balance on your secured card is only likely to further hurt your score, as the APRs on many secured cards are high. The best reason to own a secured card is because you want to show good payment habits and behaviors to the credit reporting agencies so you can improve your financial standing. The main reason to own a secured card is to help repair or build your credit if you don’t qualify for an unsecured card—which is a typical credit card that allows you to charge up to a predetermined limit without depositing any money first as security. Secured cards, like unsecured cards, will charge you interest if you don’t pay your balance in full and on time every month. Because these cards are designed for those with little to no credit, the APRs on a secured card generally are higher than those of unsecured cards. Use the new year as an opportunity to set realistic credit goals to unlock all the perks that come with a good credit score. You are confident in your ability to pay your bill in full and on time every month. You plan to only charge what you can afford to pay back right away. Your goal in owning one is to improve your credit. A secured card lets you have a credit card for the times when a merchant doesn’t accept cash—like a hotel room or car rentals. With regular on-time payments, you can improve your credit score. Because you can typically only spend up to the amount of your security deposit, a secured card can help keep your spending in check as you theoretically can’t spend more than you have. Some secured cards may charge fees for opening the account, which can impact the amount of available credit you have left to use. If you only qualify for a low limit on your secured card and you use the card too much, it can have a negative effect on your debt-to-available-credit ratio which can impact your score. If you have a secured card that won’t let you eventually graduate to an unsecured card, when your credit improves, you could be stuck with a card you no longer need. Many secured cards charge higher than average APRs, which can further hurt those who have trouble paying their bills each month. Even if a secured card may initially seem like a good fit for you, it’s important to know if the card reports to at least one of the credit reporting agencies. Without reports of good payment behavior to the credit bureaus, your credit standing won’t improve. Maintain good payment habits, and eventually, you’ll be able to switch to an unsecured card. It’s a good idea to choose a secured card that will allow you to “graduate” to an unsecured card after a period of time. This means the issuer will let you switch your card to another one within their portfolio that doesn’t require a security deposit. This can be a big deal as it allows you to avoid two things that can ding your credit—applying for a new line of credit and closing a card you’ll no longer use.